My camera was stolen a few weeks ago, and while my old Casio Exilim EX-S1 was adequate when I needed simple snaps, it just wasn’t excellent. I was confident we’d be able to buy another camera; I just didn’t know how soon. The other day, my parents and I were supposed to watch Avatar in IMAX at SM North EDSA. Unfortunately, when we got there all the tickets had been sold out, except for the last show which was far too late for us to attend. So, we went to the Annex building to have dinner instead and bum around. The Annex is home to computer and electronics shops, so we found ourselves browsing for new cameras. 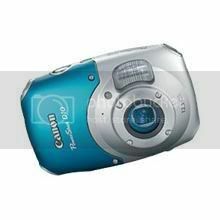 I’ve been looking at product reviews online for waterproof shock-proof cameras, and people have been recommending the Canon PowerShot D10 as the best in its class of point-and-shoot cameras. I didn’t want to get another Olympus (like my previous camera) because of its annoyingly slow capture time and noisy photos at high ISOs (meaning anything above 200). Unfortunately, the PS-D10 is also the most expensive in its class, and all of the stores we went into had priced it at almost p27,000. I was resigned to getting an IXUS instead because of good reviews and sub-P20,000 price tag. Never mind if it wasn’t waterproof and shock-proof; I’d simply have to be more careful, and we’d just find a waterproof case. Looks like lots of people are getting new gadgets! Congrats on your new cam! Thanks, Ade! Happy New Year! nice camera. that was my choice of waterproof camera before i heard about the panasonic ts1. bulky kasi yung canon eh. and you're right about the olympus tough. it just can't take good photos compared to other brands.